The day is finally here. Some of you are planning on standing in long lines tonight to get your hands on some sweet Wii, including our correspondent Adam Frucci. He will be giving the rundown on Nintendo's special NY release party. Why is that not my job? I live in Bodunkville and the lines here are just lines - not cool "we are releasing the Wii in New York so we're cool" parties. For those too lazy/busy/apathetic to stand in line, keep in mind that there will be 4 million units available worldwide by the end of the year. I had a conversation with Nintendo VP Perrin Kaplan during which she promised a continuous restocking through the holidays, but also said she was 110% certain every unit would sell out. 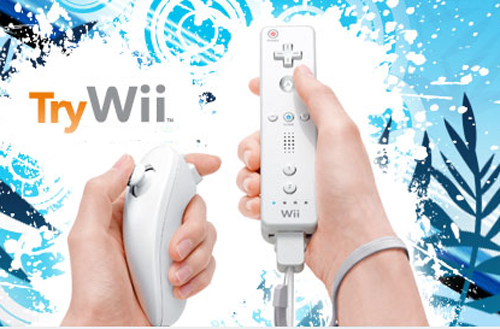 Still, chances are that continuous visits to non-electronics retailers could score you a Wii before Christmas. Also, for those standing in line, feel free to shoot any funny/interesting stories to the Gizmodo Tips email. We might just post some tomorrow.